Welcome to the world of the juror. It’s a world in which opponents of an ultimate-stakes face-off spoonfeed you morsels of well-massaged information, a world of appetizers but no main course, a world of thirteen-line sonnets. You are one of the twelve people least-informed about the tragedy just laid bare before you. You are nonetheless expected to assume lead role for the final act. 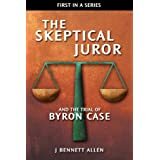 It is a wise juror that weighs eyewitness testimony as it weighs all other testimony: with a skeptical eye. After the trial, well after the trial, Andrea Reed recanted her testimony. She claimed she lied to the police that night and lied to the jury during the trial. I’ll defer to her words. I’ll allow her to tell you why she might have had reason to lie. My name is Andrea Joyce Reed. The attorney who represents Henry Skinner gave me a copy of the written statement that I made to Officer Connie Ogle on January 1, 1994, and the transcript of my testimony at Hank's trial for capital murder in Fort Worth on March 9, 1995. I carefully read both of these documents before I signed this affidavit. I swear that all of the statements in the affidavit are true. Several of the things that I said in my written statement to Ogle and my trial testimony are false. I lied because of implied threats and I was intimidated by Officer Katie Gerhardt and the district attorney's investigator, Bill McMinn. This is what really happened. At about midnight on the night of December 31, 1993 , I was in the bedroom of my trailer house at 705 Henry St. in Pampa, Texas, with my daughter, Jessica, and son, Kris, when I heard someone pounding on the wall. I asked the person to identify himself and I heard a voice that I recognized as Hank shouting, “Andy, I’m hurt. Please let me in" or words to that effect. At first, I told Hank to leave and threatened to call the police if he did not do so. Hank was an old friend, but I did not associate with him because he was an alcoholic and drug user. Shortly before I testified at the trial, Assistant District Attorney Tracy Blades gave me a document in a clear plastic folder and told me, "read it. This is your part. She explained that the document was a "condensed" version of my statement to Ogle. It placed several things that I said way out of context, but I cannot recall what they were. night of the murders could possibly show whether he was guilty or innocent. Here’s the deal with recantations. They don’t work. 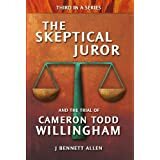 I’m aware of plenty of people who have recanted their trial testimony. I’m not aware, however, of a single recantation which has, by itself, led to the release of the defendant / prisoner. Hopefully someone will inform me of a counter-example to prove me wrong. In any case, we now know with confidence that Andrea Reed will lie if circumstances so dictate. Either she lied to the police and perjured herself during trial, or she lied when she recanted her testimony. Unfortunately, it happens all the time. Andrea’s situation provides but one more substantiating example for my skeptical juror rule-of-thumb: trust no one. Trust not the witness, the attorneys, or even the judge. They will lie, muddle, and confuse. All of them will. They will obfuscate, prevaricate, orate, and bloviate. They will attempt to manipulate you. Your only defense is to remain skeptical of them all. Rely not on their oration and special pleading. Rely instead on the evidence, the physical evidence, and examine that with a jaundiced eye. Part VII, The Physical Evidence, follows. This is a very important entry, apart from the light it sheds on the Skinner case. 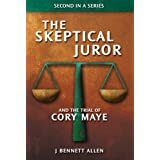 It sheds light on how witnesses can be coaxed or coerced into giving statements that are a little or a great deal out of line with the truth.